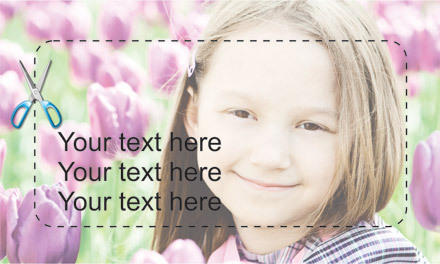 The design of media for printing is much more different than designing internet solution media. 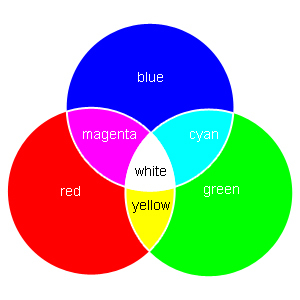 All colors are in RGB (Red, Green и Blue) mode. 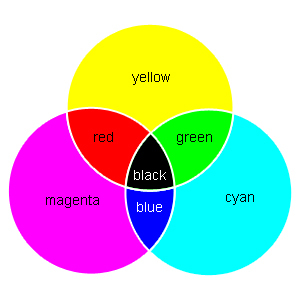 All colors are in CMYK (Cyan, Magenta, Yellow и Black) mode. 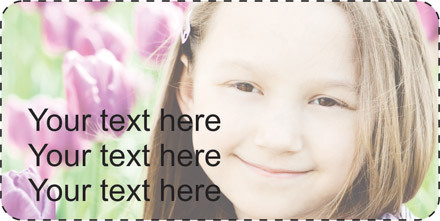 Raster images are used – the image is composed by dots in different colors. Vector images are used – composed by curves. When designing, it is necessary to consider carefully the cutting line. There is a limited number of type styles, which are supported by the browser and all OS such as Verdana, Gerogia, Arial, Timen New Roman, Impact etc. These are called “web safe” fonts, because they can be displayed on all machines. There is no limit for type styles. All available types are suitable for this design type. Web design requires more time for completion. In print design everything is measured in cm and mm. The software depends closely on the machines that are being used for producing the materials. It consists mainly of vector procession like Illustrator, and InDesign, CorelDraw, Quark Expres etc. Way of functioning – information moved by hand, expression of information relationships is possible as a part of interaction and user movement. Way of functioning – the eyes walk over the information, selecting objects and using spatial juxtaposing order to enhance the page elements and make them explain each other. This entry was posted on Tuesday, August 3rd, 2010 at 9:17 am and is filed under Design. You can follow any responses to this entry through the RSS 2.0 feed. You can leave a response, or trackback from your own site. Really terrific post. Theoretically I could write something like this too, but taking the time and effort to make a good article is a lot of effort…but what can I say….I’m a procrastinater. Good read though. Thanks for this method huge review; this is the kind of subject that continues me though out the day.I have been recently wanting around for your personal site right after I over heard about these from a close friend and was happy when I was capable of locate it just after researching for some time. Becoming a passionate blogger, I’m thrilled to determine other folks taking effort and adding to the neighborhood. I just desired to comment to exhibit my gratitude for the publish as it’s pretty motivating, and lots of freelance writers don’t get the credit they ought to have. I am certain I’ll be back again and will send out a number of my acquaintances. Another Very interesting blog post. shared it to my friends. Hi mate, I liked this awesome useful info. I really enjoyed this post. You write about this topic very well. Optimized content will help drive your site’s credibility and link building will add page rank to improve your placement on search results pages. Existing web sites in all industry segments will benefit from optimization, driving more traffic through organic placement and links. Thanks for taking the time to describe the terminlogy to the newbies! wow, nice post, I was wondering the same thing. and found your site by bing, many userful stuff here, now i have got some idea. I’ve bookmark your site and also add rss. keep us updated. Yeah, I powerfully agree with you. It seems there are really talented authors who are willing to share a very good articles online…. Found this amazing site which has relation with this one, check it out and tell me what you think! ?